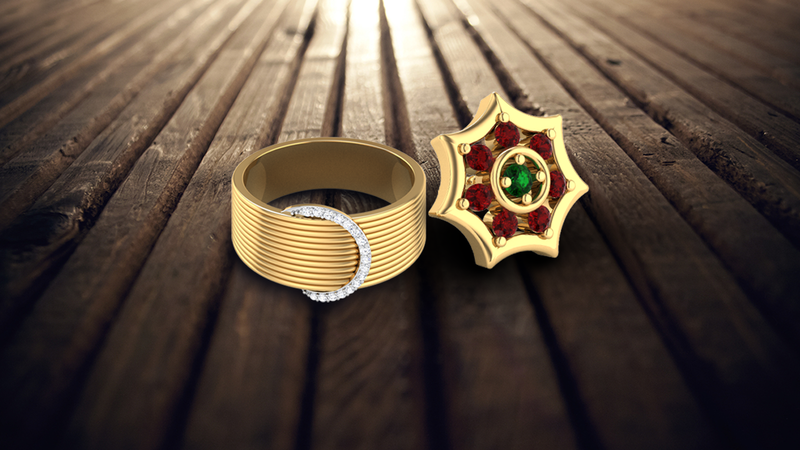 Indian women and scintillating gold jewellery have always been synonymous with each other. Whether it is a full-fledged affair of a big fat wedding or a casual dinner date with your loved one, jewellery is the go-to accessory that enhances any look and gold is the most-preferred type of jewelley in every Indian household. However, apart from adding a generous dose of elegance and grace to any outfit, gold jewellery is also known for the plethora of benefits it has on the wearer. Let’s take a look at a few of them. Gold is most widely known for its healing properties. Right from ancient times, it is believed that this phenomenal metal produces warm vibrations into the blood flow, relieving sore muscles and stressed nerves. The healing properties of gold are used to treat open wounds and a magnitude of rashes and other skin-related diseases. Apart from being a healing agent in general, gold is especially used to heal the heart by treating damaged blood vessels. The relaxing properties of gold were discovered way back in the ancient Egyptian era when Cleopatra introduced the rejuvenating gold face mask to the rest of the world. Apart from being an excellent remedy to keep the skin from ageing, the relaxing effects of gold also enhances beauty and makes skin supple with a youthful glow. Excessive heat in the body can lead to acne, hair loss, night sweats and an abundance of skin problems. Thankfully, with the soothing property of gold, you can now address all these health problems with ease. Gold is known to regulate the body temperature by emitting relieving vibrations in a heated body. It also works vice versa by giving out calming warm energy in a body undergoing chills and jitters. Due to its calming and relaxing properties, gold is widely used as an anti-depressant. The gold ornament worn by the person is known to give out soothing vibes which, in turn, helps in thinking positively and having a more constructive approach towards life. Due to this, many people sport gold rings or ear studs that are subtle enough for everyday use but powerful enough to influence your thoughts and actions. Studies have proven that wearing a piece of gold and ensuring the metal touches your skin at all times can help in drastically reducing the symptoms of arthritis. Many leading hospitals and medical institutes recommend gold therapy for this deadly disease. As per research done by doctors, this treatment has been around for years and is here to stay. Many people believe in the benefits of wearing navratna jewellery. Apart from keeping you away from danger and treacherous situations, a quintessential navratna ornament also wards off negativity, helps you take the right decisions in life and keeps you, your family and your circle of friends away from evil eye. Club these benefits with the calming and relaxing perks of gold and you have an ornament which will protect you for your lifetime. To sum it all up, it is clear that the gorgeous metal of gold has an abundance of benefits and a huge positive impact on the wearer. Whether it is contemporary rose gold or gorgeous temple jewellery, gold is guaranteed to shower you with a huge amount of benefits. Apart from symbolizing wealth and being a mark of status, this stunning metal also has a wide range of unbeatable positive aspects on the person who is adorning it. So, when it comes to investing in gold, do not think twice as the benefits are multifold. If you are planning to go gold shopping, make sure you check out our detailed blogs on how to keep your jewellery looking as good as new and signs to check the purity of gold jewellery for a hassle-free shopping experience. Head out to Zaamor Diamonds today and find the perfect piece of gold jewellery to get the best out of life.